The use of "Beyond 4G" by Rogers to describe its newest high-speed wireless network is being criticized as misleading by a consumer advocacy group. "It's a truth in advertising problem," John Lawford, a lawyer with the Ottawa-based Public Interest Advocacy Group, told CBC News in an interview Friday. In a blog post on the Open Media website earlier in the day, Lawford took issue with how Rogers markets its new network, based on LTE technology, as "Beyond 4G," even though "their LTE network is incapable of reaching speeds 'beyond' the upper limits of what can be considered to be 4G." Rogers launched Canada's first network based on LTE technology in Ottawa in July, with plans to roll out in other Canadian cities in the fall. 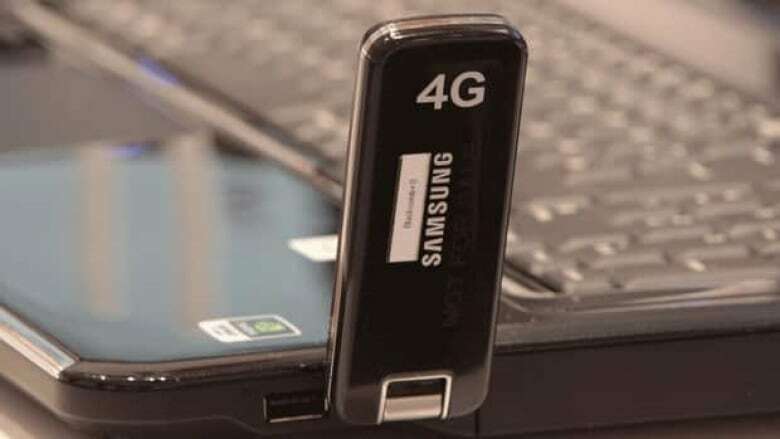 The company lists the network's typical speed as 12 to 25 megabits per second, significantly faster than the seven to 14 megabits per second listed as average by Telus for its 4G network, which uses a technology called HSPA. However, it is on the lower end of the theoretical download range of up to 150 megabits per second for LTE technology, leading some critics to call Rogers's LTE network 3.9G. While the term 4G had originally been reserved for LTE, the UN-mandated group that sets international telecommunications standards loosened its definition in December 2010, prompting Canadian telecommunications providers to tag the label to their existing HSPA networks. Rogers maintains that its LTE network deserves the label because of how it compares with the HSPA networks of Rogers and its competitors that were labelled 4G. "To confirm, LTE is beyond 4G," said Rogers spokeswoman Carly Suppa in an email. "LTE provides a significantly different experience from 4G HSPA+." She cited its faster speeds, fewer delays in transmitting or receiving data (latency), and ability to provide more usage capacity so that more people can access the network at top speeds without affecting overall network performance. A Rogers spokesperson had earlier told PIAC on Twitter that the company is using "Beyond 4G" "only… to differentiate themselves from other HSPA+ networks in Canada. We're the first and only with LTE." Lawford's post argued that Rogers had other options, such as calling its LTE network "real" or "true" 4G. He said that Rogers's claim isn't truthful, but it doesn't necessarily violate Canadian advertising laws under the Competition Act, which allows for "sales puffery." He added that Rogers has mostly restricted the claim to online advertising: "That's all part of the attitude that the web is a little bit looser in what you can say or not." Lawford also acknowledged that it may not make consumers more confused than they already are about the meanings of various wireless acronyms. He suggested it would be far more useful for companies to post minimum guaranteed speeds for their wireless and broadband networks, along with the speeds required to perform different activities such as internet voice calls or downloading a movie in a given length of time. PIAC is currently conducting research on that possibility. In the meantime, he did credit Rogers for at least including a range of typical download speeds for its LTE network, rather than the theoretical maximums that it advertised for his HSPA+ devices. "It’s a step towards acknowledging that the most important thing for a consumer is what they’re really going to get."